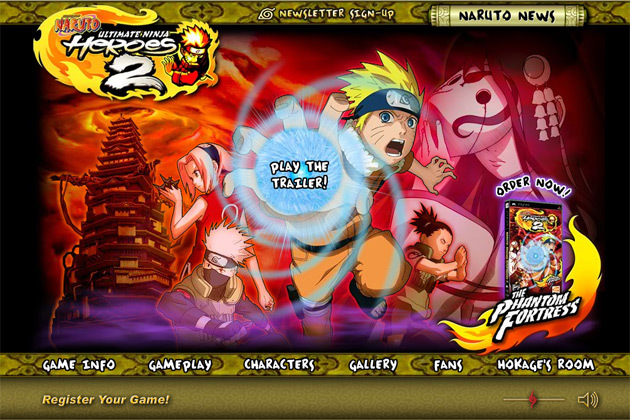 This flash site is for Namco Bandai Games America to promote their PS2 game titled "NARUTO: Ultimate Ninja 2". 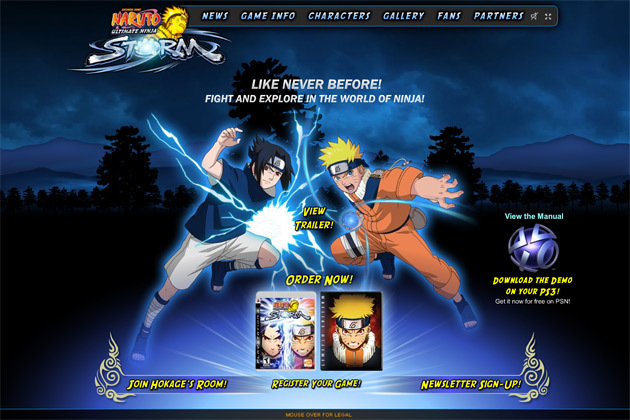 This site features dynamic news, dynamic passwords, character descriptions, gameplay videos, developer Q&A, fan comments, dynamic screenshots, trailers, unlockables, newsletter sign-up, game registration and preorder links. 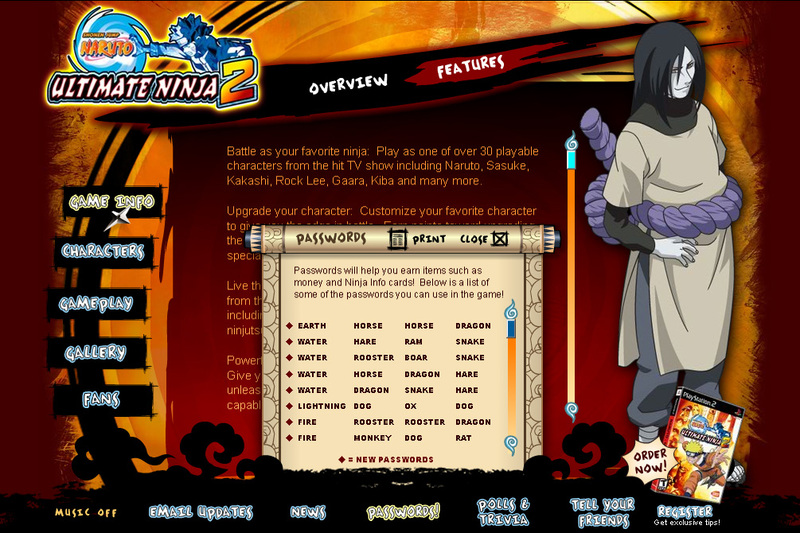 I am responsible for some design, some of the flash programming in AS 2, and all of the animation. 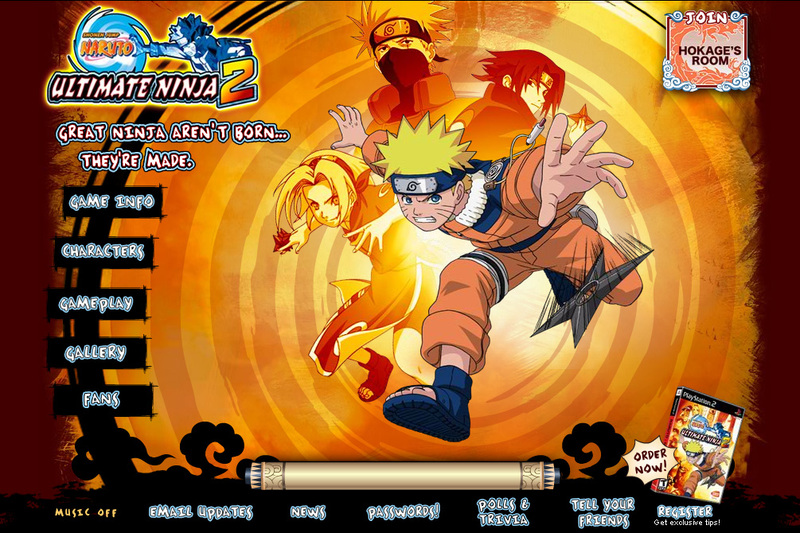 NARUTO ©2002 MASASHI KISHIMOTO Program © 2004-2007 NAMCO BANDAI Games Inc. 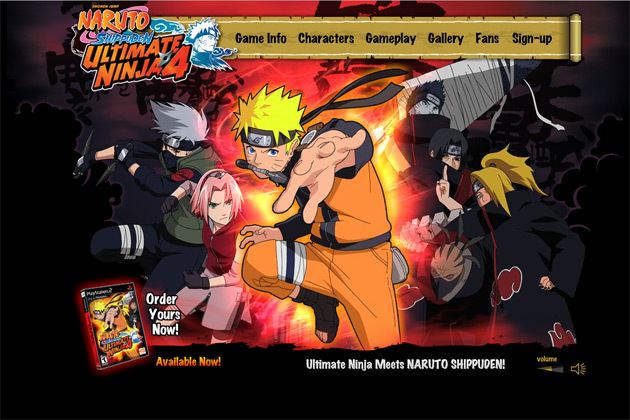 Ultimate Ninja is a trademark of NAMCO BANDAI Games America Inc. All Rights Reserved. 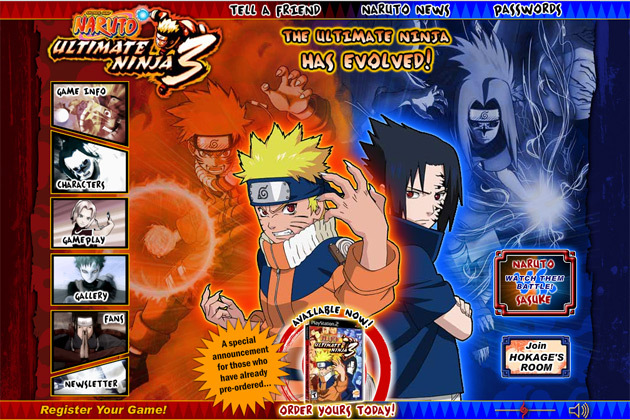 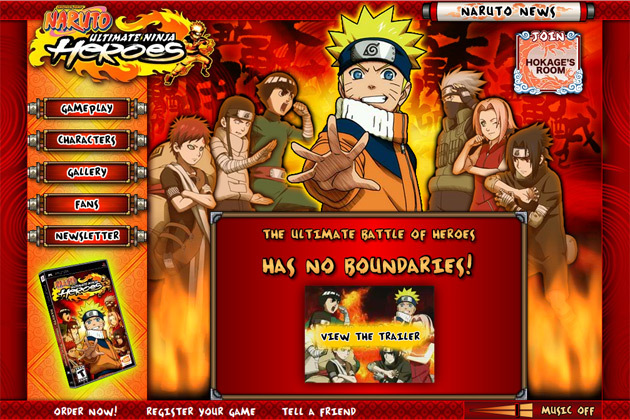 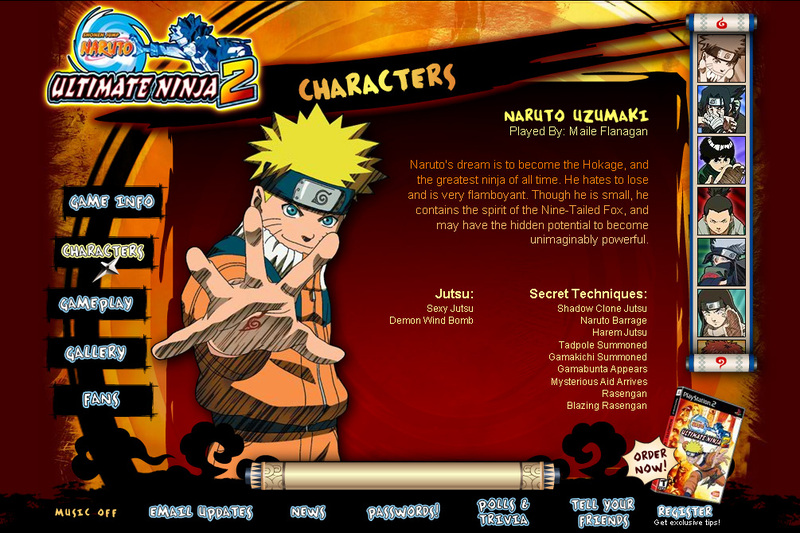 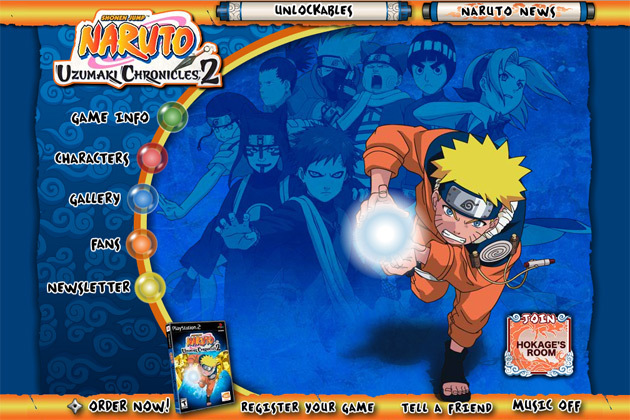 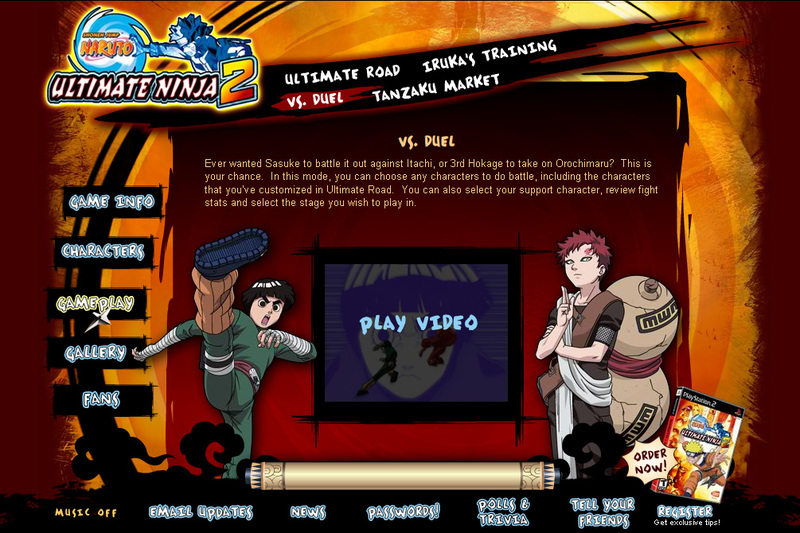 NARUTO: Ultimate Ninja 2 website designed and produced by Beck Interactive, Inc.